FM can affect daily activities at home and at work. Not only are physical symptoms present, but one’s finances are often affected as seen by a study of 203 fibromyalgia patients. The following stats shows just how much one can be out financially when dealing with fibromyalgia. These figures represent 3 months of both direct and indirect costs associated with the condition. No one can agree on a cause for FM, making it nearly impossible to find relief. Theories abound, but one thing generally accepted is that the immune system and the central nervous system are involved. When these systems are not functioning optimally, the nerve endings in the body may become extremely sensitive and lead to widespread pain. Understanding just how the spine works can enlighten one as to why proper spinal alignment is so vital. The spine has the job of protecting the delicate spinal cord from injury. There are nerves connected to the spinal cord helping to relay messages, in conjunction with the brainstem, to the brain about what is happening in the body. Important bodily functions, the amount of pain being felt, the body’s temperature, and how the body is moving are all included in these signals. If a misalignment is present in the top bone of the spine – the atlas or C1 – the brainstem may become stressed and send improper signals. The level of pain being experienced can be the result of incorrect information that the brain is trying to process. 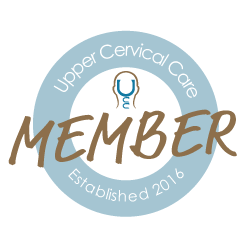 Upper cervical chiropractors have special training allowing them to find and then correct these misalignments using a gentle method. This allows the body to heal and proper internal communication can thus be restored. A 32-year-old female had total remission of her FM after just 6 months of care, according to one case study. We strive to produce similar results for our patients.